Brian Lynch was born in 1945 in Dublin, where he still lives. For his most recent post, the eulogy he delivered on the death of his friend Peter Jankowsky, click on the link above the photograph. 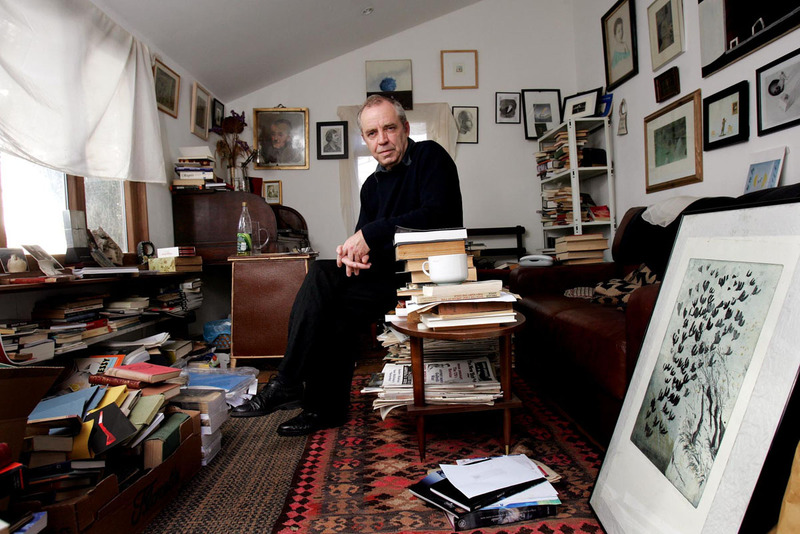 His second novel, The Woman Not The Name, was published by the Duras Press in October 2013 and launched by Paul Durcan at the Little Museum of Dublin. His first novel, The Winner of Sorrow, based on the life of the poet William Cowper (1731-1800), was published in Ireland by New Island Books in 2005 and in America by the Dalkey Archive Press in 2009. Lynch and Professor Ciarán Benson curated and edited a catalogue on ‘Tony O’Malley Self-Portraits A Centenary Exhibition 2013’ for the Butler Gallery, Kilkenny, in October 2013. His tribute to Seamus Heaney in The Sunday Independent can be read at http://www.independent.ie/irish-news/he-exhausted-himself-in-the-service-of-poetry-29542430.html. To read the text click on the entry right in Recent Posts. Lynch is also writing, with Professor Ugo Valdrè, a critical biography of the Italian artist and architect Vincenzo Valdrè, aka Vincent Waldré (1740-1814). The Huntington Library in California awarded him a fellowship in December 2013 to do research on the archives the library holds on Stowe House in Buckinghamshire where Valdrè was artist in residence. His poem ‘I Breathe A Drug’ set by the composer Jerome De Bromhead was premiered at the Hilltown New Music Festival, Castlepollard, Co Longford, on 21 July 2013. To read the poem click on the entry right in Recent Entries. His first book of poems Endsville (with Paul Durcan) was published in 1967. New and Renewed – Poems 1967-2004 was published by New Island in 2005. Amongst his eleven books of verse is a translation, Paul Celan: 65 Poems (Raven Arts Press 1986). His fellow translator, Peter Jankowsky, died in September 2014. Crooked in the Car Seat was nominated for Best Play in the 1979 Dublin Theatre Festival. A four-part RTE and Channel 4 TV series about German spies in Ireland, Caught in a Free State, won a Jacobs Award and the Banff International TV Festival Best Drama Award in 1984. The series starred Peter Jankowsky, with whom Lynch had also made a book of photographs and poems, ‘Easter Snow – an Island off Ireland’, died in September 2014. Love and Rage, a feature film starring Greta Scacchi and Daniel Craig, was directed by Cathal Black in 1998. His book on the artist Tony O’Malley (New Island) is now in its third edition. He also wrote and curated for the Butler Gallery, Kilkenny, ‘The Visual Diaries – Fifty Years of Tony O’Malley’s Sketchbooks’. Lynch founded the Duras Press in 2005 initially to publish Pity for the Wicked, his controversial long poem about Northern Ireland. Since then it has brought out books by Augustus Young (pen name of James Hogan) and Hugh Maxton (pen name of W.J. McCormack). Peter, I have had serious problems with my emails – can you get in touch with me at brianlyn@eircom.net? Hi Brian. I just visited your pages and I think I will be interested with it, specially my wife which she is very interested with novels. Regards to you and your family. Thank you for sharing your website.